In the world of secured credit cards, it is hard to find appreciable rewards. Discover it® Secured offers the best of both. It is a real credit card you can use to build your credit score. Further, earn 2% on up to $1,000 in purchases per quarter at gas stations and restaurants. Earn 1% everywhere else. This card comes with a FICO® credit score free to monitor your progress. It also has no annual fee. Secured credit cards require a deposit to open the account. For a $500 limit, for example, you would have to deposit $500. This deposit is returned when you close the account. Since secured credit card customers are considered high risk, this card has a high annual fee. The current APR is 25.24% Variable. If you have bad credit and want to improve it while earning rewards, this is the card for you. Most secured cards have an annual fee; this one pays you. While secured cards are not ideal, if you have bad or no credit, this card can get you started. After your credit improves, apply for new cards with even better rewards. It’s a real credit card. You can build a credit history with the three major credit bureaus. Generally, debit and prepaid cards can’t help you build a credit history. Establish your credit line by providing a refundable security deposit from $200-$2500 after being approved. Bank information must be provided when submitting your deposit. 2% cash back at gas stations and restaurants on up to $1,000 in combined purchases each quarter, automatically. Plus, earn unlimited 1% cash back on all other purchases. Bad credit got you down? 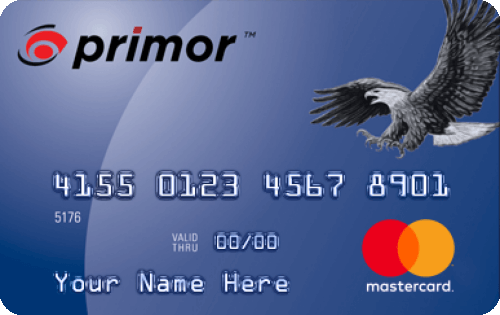 Green Dot primor® Mastercard® Classic Secured Credit Card is for people with a negative credit history. Secured accounts are available with limits ranging from $200 to $5,000. This is an excellent option to rebuild your credit after divorce, bankruptcy or credit history mistakes. This secured credit card has a $39 annual fee. If you have good enough credit to qualify for a no-annual fee card, this is not the best choice. It also requires a deposit of $200-$5,000 to open the card, tying up your money as long as you have the account open. It offers no cash back or travel rewards. If your credit is in bad shape, there may be few options to rebuild and fix your credit. This credit card is an option no matter what your credit history looks like. You can use it as an opportunity to start over. If you do get this card, use it as an opportunity to maintain perfect credit going forward. Otherwise it is a waste of $39 each year for the annual fee. Methodology SmartAsset has developed a quantitative and independent system for evaluating the relative value of a credit card offer versus other offers in the marketplace. Our system evaluates cards based exclusively on their features, such as their rewards earning rate (if applicable), fees, perks, and rewards program redemption options. The annual rewards values on this page are calculated using annual spending assumptions in various categories such as, but not limited to, gas, restaurants, airfare, and US supermarkets. These spending assumptions are built on research that SmartAsset has conducted on existing secured credit cardholders. Our promise with our credit card recommendations is that we will always strive to have the most comprehensive, accurate, and objective method of evaluating credit card offers. Any recommendations are solely determined by the result of this research and model, and is never influenced by any fees, commissions, or other forms of compensation that SmartAsset may receive from credit card issuers for leads generated on our website. Getting a credit card can be a scary or exciting moment, depending on how you look at it. For some, it’s exciting to have a line of credit or to have a card that earns rewards. But for others, having a credit card can be a burden, since it requires repayment often on time and in full. Luckily, secured credit cards exist to help out those who are a bit more wary of credit cards. Secured credit cards are great for people who are new to buying on credit. They’re also ideal for people who have a rocky record when it comes to using credit. So, what exactly is a secured credit card? Secured credit cards offer a stricter, or more secure, approach to using a credit card. You can get a secured credit card from many, though not all, banks and credit unions. From the start, these cards require a security deposit from the customer. This security deposit is held as collateral in a safe account. You can sometimes pay this deposit over some time if you can’t afford to make one huge payment. The credit card issuer can use funds from this deposit if you make too many late payments and default on the card. However, you cannot use funds from the deposit to make your monthly payments. You get the deposit back when you close your secured credit card account, provided you don’t owe any money for the account. This security deposit will also determine your credit line on the secured credit card. A credit line is the maximum amount of money you are allowed to spend on the card. You cannot exceed this without meeting some sort of penalty. The amount you deposit for your secured credit card will often be the exact amount of your credit limit. For example, if you deposit $400, your credit limit will be $400. There are some cards that have a base starting credit limit, no matter your deposit amount. With this kind of card, you can have a credit line of $200 but only deposit, say, $49. A secured credit card credit limit often falls between $200 and a few thousand dollars. If you have pretty bad credit, or no credit at all, your limit will most likely be on the lower end of that spectrum. However, you won’t be stuck with the credit limit you begin with forever. If you are able to consistently repay what you’ve borrowed on the secured card, your issuer could grant you with a higher credit limit. Sometimes your limit can be raised even without an extra deposit. Many secured credit card issuers do automatic routine checks on secured credit card accounts. That way they can see if you’re making good payments or not. Some issuers can use these reports to offer services to help you with your financial habits and your credit. Because secured credit cardholders are often those with bad or no credit, issuers are less trusting when it comes to their money. Thus, the security deposit. Issuers also tend to assign high APRs to secured credit cards. As with any credit card, you only pay interest if you’re not paying each balance in full every month. Having a high APR could teach secured credit cardholders the habit of paying their credit card bill on time and in full each time. That way, you won’t end up paying way more than you need to due to interest. Since secured credit cards are like starter credit cards, once you don’t need it anymore, you can move on up to an unsecured card. When you apply for an unsecured card, you could close your secured card account. You could also choose to keep that account open, in order to maintain that account in your credit report. Other times, issuers can simply upgrade you to an unsecured credit card account. Unsecured credit cards are simply the “normal,” or traditional, credit cards that you hear about all the time. The main differences between secured and unsecured cards are the security deposit and the rates. Unsecured cards don’t require a security deposit as collateral or to determine your credit limit. In this case, your credit limit is determined by your credit history, since you have to have some sort of good history to apply for an unsecured card. Unsecured credit limits can be much higher than what a secured card can offer. This is because issuers generally trust you more once you have an unsecured card. Unsecured cards don’t hold any property or deposits as collateral. So if you default on payments, they can come after you, but not your property. You can usually find lower rates with an unsecured card as well. Ideally, you will still pay each statement in full but if you can’t, it’s good to know that your balance won’t accrue quite as much interest as it would with a secured card. Do keep in mind that with unsecured rewards credit cards, rates tend to be higher than cards without rewards. Speaking of which, you should know that the majority of secured credit cards out there do not offer rewards. This means no bonus points or cash back. The main focus of secured credit cards is to build or repair your credit. That involves responsible and diligent spending and repayment. So if you’re trying to fix up your credit, you shouldn’t become distracted by credit card rewards. There are certainly huge benefits to getting a secured credit card. Your credit score is an important aspect of moving forward financially. For one, you’ll need a good score in order to secure a mortgage. Plus, you’ll see better rates with a better credit score. Since your credit score and credit history are huge when it comes to money, it gets tough when you’re just starting out and don’t have any credit history to show. It’s even harder when you have a low credit score and your history doesn’t look too favorable due to bad past payments. Improving your score can even seem impossible since to build your credit, you need some sort of credit line to work on. This is where secured credit cards come in and why they are so beneficial. Secured credit cards are geared toward people who need help boosting their credit. The cards are designed to get cardholders into good spending and credit habits and boost their credit at the same time. The card’s whole purpose is a huge benefit. The security deposit serves two purposes here. As collateral, it can help you make all of your payments on time and in full. If not, the issuer can dip into that deposit to cover those costs. You wouldn’t want to lose hundreds or thousands of dollars because you were careless with a payment or two. Further, the deposit can ensure that your credit limit is something you can absolutely afford. People get into hot water with unsecured cards because they can spend thousands of dollars on the card too easily. The problem is that they don’t actually have thousands of dollars to pay all of that back. With a secured card, you submit the deposit out of your checking or savings account. You’re able to look at your finances more realistically, seeing exactly what you can and cannot afford. Your deposit holds you to that. Once you get better with your spending and repayment habits, you can be rewarded with an even higher credit limit. That way you can keep testing the waters and work your way up to an unsecured card. Depending on your secured credit card issuer, you could be treated to even more benefits that helping your credit score. For example, some issuers may even implement a rewards system. Many issuers also offer professional services to cardholders to help them with their credit habits. Some cards may have less strict requirements about who can apply and hold a secured credit card. However these benefits vary between issuers and aren’t universal among all secured credit cards. In the short term, it may not seem like a secured credit card would save you money. Higher rates and fees aren’t exactly favorable, especially if you’re already not good with money. If you’re not careful enough with your spending, you could get hit with high interest payments, penalty rates or fees for things like foreign transactions. These rates and fees are put in place for a good reason, though. Hopefully they’ll help keep you in check so that you don’t incur high interest payments or fees. It’s all about creating and sticking to good credit habits. That way, when you have an unsecured credit card, you’ll be less likely to recklessly spend. Secured credit cards do usually have an annual fee. However, it’s usually not very high, typically landing at around $35. Plus, if you use your secured card successfully and responsibly, you can get your security deposit back. While placing the deposit could take a chunk out of your bank account, it serves as an incentive to pay in full and on time. Making good payments means you get a nice chunk of change back at the end. One way a secured credit card could actively save you money is through the credit limit. With a strict and low credit limit, you’re more likely to spend only what you can afford. If you don’t, you can say goodbye to your security deposit. In any case, you will at least be more limited in your spending with a secured credit card than with an unsecured credit card. Instead of being able to spend, say $15,000, and have to repay all that, you’ll only able to spend $500 which is an easier amount to pay back. A secured credit card’s goal is to help you establish or fix your credit. Its benefits pay off in the long term by helping you with your spending habits and your credit score. Ideally, through a secured credit card, you’ll eventually feel comfortable enough to graduate to an unsecured card. Not only will your credit habits be more suitable to handle an unsecured card, but your credit score itself can actually get you an unsecured card, whereas it probably wouldn’t have before. Improving your credit score with a secured credit card means that you’ll be able to see better credit and loan options when those opportunities arise. A better score and a solid credit history makes you eligible for larger credit limits. That also makes you more qualified for better rates when it comes to getting a loan. So whether you’re looking into getting a mortgage, auto loan or personal loan, your improved score and a history of good payments will reflect well. Meant for those with shaky credit history, a secured credit card is going to be stricter than a traditional credit card. Secured credit card issuers implement this strictness through high rates and fees and the generally low credit limits. Of course, despite seeming less than ideal, these factors are put in place for good reason. For one they help the cardholder establish good and stable habits when it comes to spending on credit. They’re also in place to protect the credit card issuers. Issuers take on more of a risk when lending money to borrowers with a rocky credit history. Those high rates and fees can help issuers recover some of the costs when borrowers fall through with payments. So although these costs seem like drawbacks, they exist for a solid purpose. You will want to look for a secured credit card where the issuer reports to all three credit bureaus: Experian, TransUnion and Equifax. Unfortunately, not all issuers report to all three, so you should do some research to find out whether the cards you’re looking at will. Without a report to all three bureaus, your hard work at improving your credit score will go unnoticed and your credit score won’t accurately reflect it. Some secured credit cards will come with an annual fee, too. Although they tend to be lower than the annual fees on many unsecured cards, if you can’t afford that as another expense, you’ll have to look for a card without an annual fee. Luckily, there are a number of secured credit cards sans an annual fee out there so you won’t be stuck with that fee. If all goes well and according to plan, having a secured credit card should be affecting your credit score for the better. The whole point of a secured credit card is to improve your credit score if you use it correctly. How do you use a secured credit card correctly to improve your credit score? The main factor is to pay your credit card bill on time, every time. When you’re borrowing money, lenders want to see that you’re not only using the money responsibly, but also paying it back responsibly as well. A low credit score shows lenders that you’re not the most reliable when it comes to borrowing money. When using your secured credit card, making your payments on time will reflect well in your credit score, showing lenders that you can repay borrowed money timely. Paying on time is only half the battle though. You should really be aiming to pay all your credit card bills on time and in full. If this sounds like too much of a burden, instead of giving up on the idea of a credit card, just don’t spend in high amounts on the card. That way you can pay it back in full much more easily. How you treat your credit limit could also affect your credit score. In general, it’s best to spend less than 30% of your credit limit. That way, you keep your credit utilization ratio low. This ratio looks at how much credit you’re allowed to spend vs. how much you’re using. In fact, your available credit and the debt you’re carrying accounts for 30% of your credit score. Future lenders will want to see a solid debt-to-credit ratio history. So if you’re spending a high amount of what you’re allowed to borrow, it could damage your score. If your credit is in shambles or you haven’t had much of a chance to build any credit, then a secured credit card could be for you. So perhaps you defaulted on a mortgage loan. Or maybe you’re just graduating college and have no idea how to even begin building credit. Secured credit cards offer a more secure and straightforward way to improve your credit score. They usually come without all the bells and whistles of a traditional credit card, especially a rewards credit card. This is good for people who need discipline and focus in their credit habits. Depending on the card you’re looking at, you may need a checking or savings account to make your original security deposit. If you don’t have one of those kinds of accounts, not to worry. There are issuers who will still accept your application for a secured credit card. You should also be applying for a secured credit card when you have the funds for a security deposit. The minimum for a deposit often lands around $200, so if you don’t have at least that, you may not be approved. It doesn’t hurt to wait and save to meet that amount, either. In fact, don’t push yourself to apply for a credit card if you and your finances aren’t ready for it. It’s important to evaluate your finances before you apply. Make sure you can afford the annual fee, if there is one. You may also want to factor in the possibility of penalty and interest charges. If you know you’re prone to making late or partial payments, be honest with yourself and wait until you’re ready. Since secured credit cards are for people looking to improve their credit score, issuers aren’t going to be looking for borrowers with a good or excellent credit scores. You may want to pay attention to issuer requirements though, since some do require better scores or some sort of credit history. But at least you won’t have to worry about toeing the line between fair and good credit to qualify. 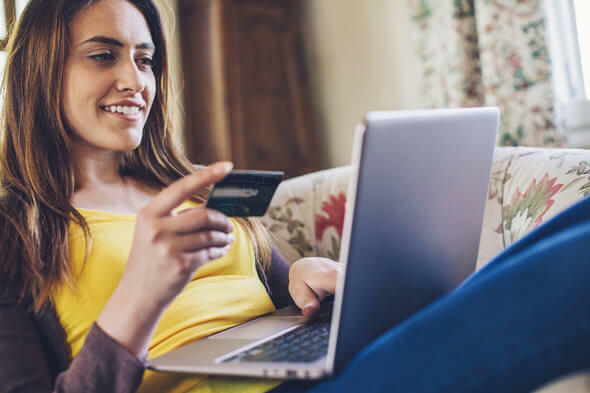 What may matter most when applying for a secured credit card is that you’re ready and willing to work to improve your credit score. Your score isn’t going to jump from poor to good overnight. You’ll need to focus on spending what you can afford and making payments in full and on time. It will also be important to get your finances ready for a secured credit card. For one, you’ll need to make sure you have enough money to submit as your security deposit. You should also find out whether the cards you are looking at require you to have a checking or savings account to make the deposit. There are cards that do have that requirement, but there are also cards that don’t, so you can still find a card that best fits your needs. In addition to the security deposit, you’ll want to make sure that you can afford other costs that may come with a secured credit card. This includes the possibility of an annual fee, interest payments and other charges. If your card of choice includes an annual fee, you should make room for that expense in your budget. Be honest with yourself, too, and determine whether you’ll be making interest payments on the card. That way, you can make room for that in your budget if need be and hold yourself accountable for spending and repaying responsibly. There are a number of secured credit cards out there, each with its own rates and fees, terms and conditions. You’ll definitely have to do some research to find the best secured credit card for yourself. It helps to compare and contrast different cards from different issuers. You can start by assessing how much credit help you actually need. Will you need a low credit limit to start out? Will you need an issuer who provides credit services and advice? You will also have to double check with each card issuer if they report to all three credit bureaus, Experian, TransUnion and Equifax. Not only do you want the bureaus to know about your credit habits, but you especially want them to know about your good habits. Check with issuers to see how much they report to the bureaus, whether it’s all your activity, just the bad payments or just the good payments. You’ll want their reports to accurately reflect your efforts toward building or improving your credit. When looking at cards, take into account the amount you’ll be given as a credit limit. If you’re already familiar with spending on a credit line, having the lowest credit limit may be too easy for you. Find out whether you can increase your credit limit, too, by continuing to make on-time payments. That way you can work on improving your credit with improved habits, rather than remaining at a bad/mediocre credit plateau. It could help to find a secured credit card that you can upgrade to an unsecured credit card when you’re ready. Some companies will upgrade you to a different card, while others will simply upgrade your account to unsecured. If you’re comfortable with the issuer, it could be easier to stay with that company, rather than find a new card with a different issuer. Of course you’ll also want to know how much money you will have to put in for the security deposit. Also find out how much of your security deposit will determine your credit limit. Will it be all of the amount or only part of it? Ask issuers where your deposit will be kept, too, and how/ when you can get it back. It helps to know how that deposit may be used should you miss payments. As with any credit card, you won’t want to miss payments. Read up on when the due date is for each card you’re looking at so you’ll know exactly when to budget in a payment. Along with this, make sure you know when your balance will begin accruing interest. Make sure you know what that interest rate is as well. That way you can go into a card agreement more prepared to make on-time payments and with a solid budget plan. 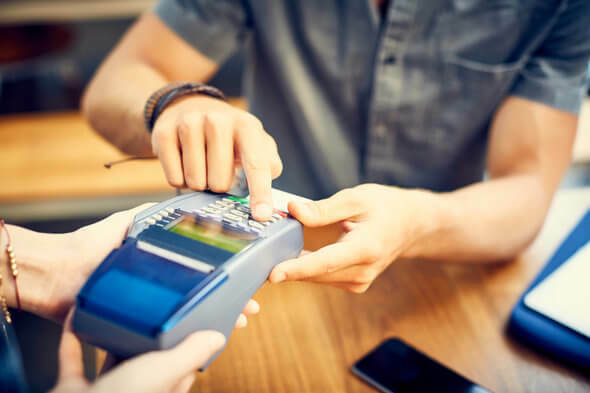 While secured credit cards tend to have higher rates and fees than unsecured cards, you can still find a secured card with a more reasonable rate. When looking for a credit card, or any financial tool really, it’s important that you feel comfortable with your plan and the institution. Look through customer reviews on both the specific card and its issuer to see whether they have a good customer service record. Check to see how previous customers have liked (or disliked) the card and the issuer. Building your credit is tough enough on its own, so having an issuer whom you trust will be key throughout the process. Which Secured Credit Card Should You Choose? There are a number of secured credit cards out there. On the whole, most secured credit cards exist to help you improve your credit. However, each one is going to vary from the next due to a slightly different feature. To start, not all banks or credit unions will even offer a secured credit card. When considering card features, let’s say you’re familiar with how to spend on credit, but you happened to hit a rough patch in your mortgage. Your score is too low for comfort and you have to get it back to where it was (or better!). You’ve decided to get a secured credit card to boost your score. You’ll most likely want a secured credit card that offers a decent credit limit. You know better than someone who might need the lowest limit, but you still need that sense of discipline a lower credit limit can provide. Perhaps you know yourself well enough to foresee yourself paying each bill partially, allowing your balance to accrue interest. In that case, you’ll want to find a card with a lower interest rate. Snagging a lower interest rate may seem like a universally appealing factor. The lower rate could come at a price, though, often an annual fee. If you’re confident you can pay off each bill on time and in full, you won’t need to worry about the lower rate. That way you can potentially find a card that doesn’t carry an annual fee. It helps to be honest with yourself here. You want to get the card that is realistically the best for your situation. If you get off to a rocky start with your secured credit card, you could end up seeing a dip in your credit score rather than a helpful boost. You should also choose a secured credit card from the issuer you feel the most comfortable with. A low APR from one issuer could be appealing, but if the institution itself is disorganized or unhelpful, you could find yourself more stressed and less focused on improving your credit. Find an issuer who has solid customer ratings and reviews. Get a feel of which issuer you can best work with, where improving your credit won’t be more of a hassle than necessary. You should also look into how you can upgrade from your secured credit card to an unsecured credit card when that time comes. You won’t want to stick with a secured credit card for very long due to the fees and high rates. It will help to have some sort of exit plan before you even commit to a secured credit card. Depending on the card and the issuer, you will have to apply separately for an unsecured card once you no longer need your secured card. Other times, however, the issuer can simply upgrade your secured credit card account to an unsecured one. If this kind of ease is key to you, look for a card and issuer who offers that feature. When applying for a secured credit card, you’ll need to budget for its high fees and rates. For one, if the card you’re getting has an annual fee, you’ll need to be prepared to pay that amount each year you have the card. Of course the goal is to not have the secured credit card for too long. However, it’s important to calculate in the cost of an annual fee for the years that you will have the card. In order to get your secured credit card fully set up, you need to make your security deposit. This may not be a huge chunk of change for some people, but for others a deposit of a couple thousand, or even hundred, dollars is no small fee. You’ll need to determine how much you can actually afford to deposit as soon as possible. That way you can start saving to make the payment so it doesn’t hit your wallet too hard. Luckily, you may have the option of paying the deposit over a set period of time, depending on the issuer. It’s good to remember that you won’t be getting that amount back until you move on from the secured card. And you won’t get the deposit back at all if the issuer needs it to cover payments or costs you’ve missed. In that case, it’s best not to count on getting the whole amount back. Then if you do, you can treat it as a windfall and put it into a savings account instead of spending it right away. Don’t forget your security deposit amount will often be the same amount as your credit limit. If you can only afford a $200 security deposit, your credit limit will begin at $200. You probably want to avoid dropping thousands of dollars just to have a higher credit limit, though. 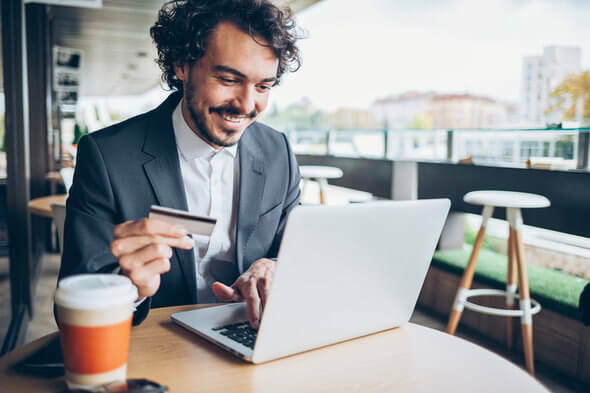 Not only will that leave you thousands of dollars short, but you could end up overstretched when it comes to spending on your secured credit card. Always keep in mind that experts say you shouldn’t be spending more than 30% of your credit limit anyway. Spending more than 30% of your credit limit will increase your credit utilization ratio and hurt your credit score. And keep in mind that many secured credit cards will offer the option of raising your credit limit if you’re able to prove your reliability through on time and good payments. So even if you start with a credit limit that is too low for your liking, you can have the opportunity for a higher limit soon enough. It’s not always possible to make in full and on time payments with each bill. That means you should also factor in possible interest payments when revamping your budget. Secured credit cards are known for having high purchase APRs, but if you make your payments on time and in full, you can avoid the high rates. However, it’s not always easy to make payments in full. There’s always the chance that you will need to pay some interest on your balance. In this case, it’s better to plan and budget for possible interest costs than get hit with higher and higher bills. This is especially important since you’re trying to improve your credit and financial situation, not tank it. If you know you might also be making some late payments (which you shouldn’t), go ahead and set aside an amount in your budget for that. Late payments can activate penalty fees and a penalty APR, an APR that’s usually much higher than the base purchase APR. Penalty fees won’t be dainty, either. Exact amounts and rates will depend on the card you get. Late payments could take a massive chunk out of your savings, so it’s best to avoid bringing that upon yourself. Due to the high fees and rates that secured credit cards usually come with, you’ll want to watch your usage of the card. This usually means avoiding using the card for foreign transactions, unless you want to pay a fee of around 3% of the transaction amount. You’ll also want to watch out for balance transfers. While this may seem beneficial for you, balance transfers often come with fees and a higher APR, which you may not want to invoke. After you’ve chosen the secured credit card you see as the best fit for yourself, you have to apply for the card. The application process is often as simple as going online and clicking “Apply.” You could also choose to apply on paper and mail the application in. Note that some issuers may require you to apply in person at your local branch. As with any credit application, you’ll need to provide information like your income numbers, any debts you have, your Social Security number and more. Usually your credit score would be a big deciding factor in your credit card approval process. However, since we’re looking at secured credit cards here, you have a smaller chance of being denied due to a low credit score. If you are denied a secured credit card, you should definitely find out why you were denied. Was the issuer looking for a higher credit score? Did they count your bankruptcy a little more than you were expecting? Once you find out the reason, you might want to get to work on improving that aspect. That way, you can apply again for a secured card at a late date with better finances in hand. Once you’ve applied for a secured credit card and been approved, you will then have to submit your security deposit. Again, the deposit can fall between a couple hundred and a few thousand dollars. This amount will often become your original credit limit on the card. After you’ve made your deposit, you can begin spending on your secured credit card, up to the set credit limit amount. Get off to a good start by spending only within your credit limit and paying your bills on time and in full. Paying your bills on time is very important, especially when working to improve your credit. Paying your bills in full will help you out immensely in the end, too. Paying in full means you don’t have to worry about accruing interest. Otherwise you’ll end up paying way more over time. Should You Apply for More Than One Secured Credit Card? In general, you should avoid applying for too many lines of credit in a short amount of time. The same applies especially when it comes to secured credit cards. This is because you’re trying to improve your credit score with a secured credit card. Opening multiple cards at the same time will often do the exact opposite of that. Firstly, each inquiry into your credit report will (temporarily) drop your credit score a couple points. That won’t be doing your already-damaged credit score any favors. Not only will it hurt your score, but other lenders and credit card issuers can see when you’ve sent in multiple applications. If you have, they can choose to deny your application with their institution. Further, having multiple credit cards is already a risky practice even for those with good credit. If you have bad credit, you will probably want to focus solely on spending and repaying responsibly on one card. The potential fees that could stem from the upkeep of multiple cards can make a substantial dent in your finances, too. Maybe you’re thinking that making more on-time payments across multiple cards will reflect well in your credit score. Having more than one secured credit card would require you to pay a lot of attention to each card. More payments, on time or not, just means you’re spending more money which is more money you would have to repay. Even if you think you can juggle multiple cards, it won’t be easy, especially since the goal of a secured credit card is to improve your credit. Taking that risk may not pay off, landing you and your credit score in some dire straits. The goal of a secured credit card is to boost or build your credit score. To maximize your usage of the secured credit card would mean reaching a better credit score in the least amount of time possible. The most important part of having any credit card, but especially a secured credit card, is to pay your bill on time and in full every time. Too many people think they can get by just by paying the minimum amount given on each statement. However, this means you end up paying way more in the long run due to accrued interest. You could end up in serious debt, too, if you don’t take care of it quickly enough. Simply paying your balance in full will save a lot of time, money and heartache. It’s also crucial to pay your bills on time. For one, paying on time means you won’t get hit with a possible penalty APR. So if you pay late and only in part, your interest rate skyrockets as will your payments. Paying on time allows you to avoid any penalty fees, too. Those penalty costs alone should be enough to deter you from making late payments. Even further, though, late payments defeat the purpose of trying to improve your credit entirely. Making late payments reflects poorly on you, both to your credit card issuer and through your credit score. Hurting your credit score even more with late payments means you have a longer way to go to get to a good, or even fair, score. You would also do well to spend only up to 30% of your credit limit. The amount of credit you’re using vs. your total credit limit is called your credit utilization ratio. The debt you are carrying vs. the credit you are using accounts for 30% of your FICO credit score. If you’re using a high amount of the credit that’s available to you, your ratio will go up and hurt your credit score. So to maximize what you get out of your secured credit card you should avoid spending too much of your credit limit. This is a good habit to keep in mind and stay used to for when you move up to an unsecured credit card. 1. Do secured credit cards ever offer rewards? Yes, but they’re hard to find. Rewards cards are usually reserved for people with good-to-excellent credit. Because of that, you might be hard-pressed to find a secured credit card that also offers rewards since your credit is less likely to be trusted. If you find yourself wanting a secured credit card that comes with rewards, make sure you’re disciplined enough for the card. It can be easy to get caught up in spending to earn the most rewards. However, your main goal with a secured credit card should always be improving your credit. 2. How can I evaluate secured credit card offers? Without rewards systems, secured credit cards more or less come with the same features like an annual fee and the need for a security deposit. However, from card to card, the exact amounts of those features are going to change slightly. For example, one card may give you three different amount options for your security deposit. Other cards will let you choose any amount within the issuer’s given limitations. You just need to determine which option is the most viable for you. You also need to assess the credit limit offers given by each card. Your security deposit will determine the credit limit you start with. But you will want to check out each card’s process of increasing your credit limit. Will it automatically increase after you make a few on-time payments? Can you increase the limit by making another deposit? Can the issuer increase it at some point without an extra deposit? These are good questions to ask and answer when comparing cards. Check out each card’s fees and rates, too. On the whole, secured credit cards tend to see higher numbers in these areas, but not all cards are the same. Maybe finding one without an annual fee is more important to you than a high penalty APR. Evaluate what you want the most from a secured credit card, other than an improved credit score. For one, you should get a card with an issuer who will report your activity to all three major credit bureaus, Experian, TransUnion and Equifax. Without all three bureaus knowing about your improved credit habits and credit score, it will be much harder to get an unsecured credit card in the future. Make sure you know how, when and what information the issuer will report to the bureaus. If you start to get unsecured credit card offers from other issuers, you’ll know that your score is seeing improvement. You can also check your credit score for free to see for yourself whether you’re moving in the right direction. Again, you’ll also want to evaluate the card issuer, not just the secured credit card itself. Some issuers will provide you with the card and leave it at that. Those issuers won’t offer you with any credit help or advice to ensure you reach your goal of an improved credit score. However there are a number of issuers who go above and beyond to help you with your credit. Some issuers offer services to help you with any questions related to credit or your secured credit card. Even if your issuer of choice doesn’t offer that, you’ll still want to make sure they have solid customer service. Maintaining a secured credit card and boosting your credit score isn’t going to be easy, so you’ll want some guidance and understanding from your credit card issuer throughout the process. 3. Do secured credit cards come with sign-up bonuses? No, they don’t. Without cashback or points rewards, secured credit cards don’t have much to offer in terms of a sign-up bonus. 4. Do I need to pay my secured credit card bill in full every month? Technically, you do not need to pay your bill in full every month. However, it’s in your best interest to do so. Paying your credit card bill in full every month means you get to skip out on interest payments. Since secured credit cards tend to have very high interest rates, this will save you a ton of money in the long run. If you don’t think you’ll be able to afford paying each bill in full, you may want to consider paying in full as mandatory. That way, you might be forced to spend less. This will make your bill easier to pay and save you money. 5. When do I get my security deposit back? If all goes well with you and your secured credit card, you get your entire security deposit back when you close your account. This means you never default on your credit card account and don’t have a balance leftover when you close the account. If you do have unpaid costs, the credit card issuer will use funds from your security deposit to cover them. If they don’t need the whole amount, you can still receive the remainder back. So if you’re really looking forward to getting the entire deposit amount back when you close your account, you’ll need to make an effort to make all your payments on time. Issuers will usually hold on to the deposit for a few billing cycles after you close your card. This is to make sure that there are no unpaid expenses you’re leaving behind. Once they clear that, they’ll send the deposit back to you. Issuers will return your security deposit to you by check or statement credit usually. Sometimes they may even transfer it as a credit to your new unsecured card if you have one. This usually takes a few weeks. You can call your secured credit card issuer though to see if you can get the check sooner. 6. Will my security deposit earn interest? You might think that since a secured credit card issuer places your security deposit into a separate account, it could earn interest. Unfortunately, most security deposits will not earn interest while it sits in the account. 7. How soon can I upgrade to an unsecured credit card? How soon you can upgrade to an unsecured credit card will depend on how responsible you are with your card. If you continue to make late payments and spend too much of your credit limit, your score won’t improve. It could even drop some more. In that case, you might be stuck with a secured credit card much longer than you would want. In most cases, people use a secured credit card for a year or so before they move on. If it takes you less than a year to improve your credit enough, then that’s great! But don’t be discouraged if it’s taking your score a little longer than a year to increase. Just make sure you’re doing everything in your power to boost your credit. This means on-time and in-full payments and using 30% of your credit limit. While using your secured card, make sure you’re getting up-to-date information regarding your credit. Check your credit score online for free. If your issuer provides credit help and services, check with them to see how your account and your credit are doing. 8. How do I upgrade to an unsecured credit card? There are a couple ways you can go about getting an unsecured credit card when you’re done with your secured credit card. The most seamless way would be to have your secured credit card issuer simply lift the title of “secured” on your account and change it to an unsecured account. If you’re able to go this route, you won’t need to close your account entirely. In this case, you would receive your security deposit once you’re officially moved over to an unsecured card, either in the form of a check or a statement credit for your new unsecured account. However, you may choose to upgrade to an unsecured credit card with a different issuer. In that case, you could close your secured credit card account, get your security deposit back and move on to the bigger and better unsecured credit card. 9. Should I close my secured credit card account when I get an unsecured credit card? The decision to close your secured credit card account or keep it open will depend on how you feel about your credit and your finances. For one, you can close the account once you have an unsecured credit card. This means you get your security deposit back, provided you have no outstanding charges to the account. Closing your account could mean that you see a slight dip in your credit score, though. Credit line longevity counts solidly when calculating your credit score. So closing an account you’ve had for a year or so might knock your score a little bit. You could choose to keep your secured credit card account open, if you want to avoid the possible credit score dip. Keeping the account could also potentially help your credit by showing that you’re not making any late payments on that credit line (since there are no payments to be made). Just keep in mind that you won’t get your security deposit back until you close the account. 10. What is the difference between a secured credit card and a debit card or a prepaid card? A secured card is a segue into a traditional, unsecured credit card. You’re still borrowing money from an institution. You just have more of a strict window to work in. Debit cards pull directly from your bank account when you use the card for a payment. So instead of using the card and waiting for a statement from the credit card issuer, the money is almost immediately taken out of your personal checking or savings account. Prepaid cards are similar to debit cards in that when you use the card, the money is taken out from the pool of money in the card’s account. Neither debit nor prepaid cards are able to build your credit since your activity there is not reported to the credit bureaus. A secured credit card is a solid option for anyone who needs to build their credit from scratch or repair it after some financial troubles. They allow you to more securely spend on credit, without the spending freedom of an unsecured credit card. That way you can work on building your credit without too much risk of damaging it even further. Secured credit cards do tend to come with higher rates and fees, though. You will have to budget for those costs. It’s also important to keep in mind that a secured credit card is only really meant to get you back on your feet. So after a year or so you can usually move on up to a more exciting unsecured credit card.